Over the past 40 years, I’ve travelled to all seven continents and most of the US states. I didn’t feel much like travelling most of the time I was on cancer treatment, but now that I’m feeling fairly normal on Xalkori, I’ve begun to venture out again. When I buy expensive tickets on common carriers (airlines, cruise ships, train), I buy travel insurance. Before I was diagnosed with lung cancer, I bought it primarily to cover non-refundable payments in case I had to cancel due to illness or family emergency, or to cover lost luggage and medical expenses abroad. Now that I’ve got metastatic cancer, and I’ve learned how much quality of cancer care varies, I’m more concerned with covering expenses if I have cancer-related problems while on a trip. The CDC has a good page that summarizes the three types of insurance for travelers: travel insurance, travel health insurance, and medical evacuation insurance. Here’s what I’ve learned from the travels of myself and others. These policies are usually purchased for a specific trip, and cover the following travel medical problems, along with baggage insurance and other things. Trip cancellation provides reimbursement for non-refundable trip payments and deposits if I must cancel the trip before it starts. If the trip is expensive — say, a two-week cruise — and purchased many months in advance, I want my deposit and payments to be reimbursed if changes in my treatment plan (say, radiation for a new met) force me to cancel my trip. Trip interruption provides reimbursement for non-refundable trip payments and out of pocket expenses if the trip is interrupted after it starts. If I have a health problem on the cruise, and the ship departs without me while I’m waiting on a doctor or hospital, I will get reimbursed for the extra airfare to catch up with the ship after treatment, and meal expenses I had to pay out of pocket while I’m off the ship. Emergency medical and dental pays medical or dental expenses incurred on the trip. Cruise ship doctors are pricey, and expect payment at time of service. Medicare and Medicare supplements usually do not cover medical expenses incurred outside the USA. Emergency medical transportation arranges and pays to medically transport me to an appropriate medical facility when I need care, and get me home after I’ve received care. More on this under Medical Evacuation Insurance. Frommer’s has compiled a list of companies that offer travel insurance and travel health insurance. The US State Department has another list of companies that provide coverage for overseas travelers. AAA-hosted trip usually book me through Allianz, and I’ve booked through Allianz myself online. If I become severely injured or ill while away from home, I might need an air ambulance to transfer me to a major medical center, or even my home hospital. Such transfers are EXPENSIVE. A friend with cancer paid $20,000 to be flown by air ambulance from Seattle to Kentucky. If you’re overseas, the cost could be $100,000 or more if you’re in a remote area with little medical care available. Travel insurance policies often don’t provide sufficient coverage for this. Medevac policies can be purchased separately or in combination with travel insurance. Some Medevac insurance providers have their own network of specially-equipped airplanes whose flights are not restricted to airline timetables and routes; other providers are simply brokers that make arrangements for evacuation with contractors. Most medical evacuation insurance companies offer policies that cover the insured on all trips during a set period, be it short- or long-term. Annual policies are typically around $200. Terms and availability vary from carrier to carrier. Some carriers that offer Medevac insurance are listed below. I don’t have personal experience with any of them; this list is just offered as a starting point for readers. 1. Read the insurance policy to be sure my specific travel situation is covered. Some policies will allow me to cancel within a short period after purchase if I discover my situation isn’t covered. For my first trip to Denver for a clinical trial, I bought Alaska Airlines travel insurance through what was then AccessAmerica (now Allianz). The full policy was emailed to me after I bought it. Good thing I read it immediately: it didn’t cover travel for medical treatment! Fortunately I was able to cancel and get a full refund within 10 days, if I hadn’t already left on the trip. Without travel insurance, however, I would have to forfeit my cheap non-refundable ticket if the clinic changed my appointment day. I was able to reschedule a non-refundable flight for free once by playing the cancer card, but I wouldn’t want to rely on that approach. 2. 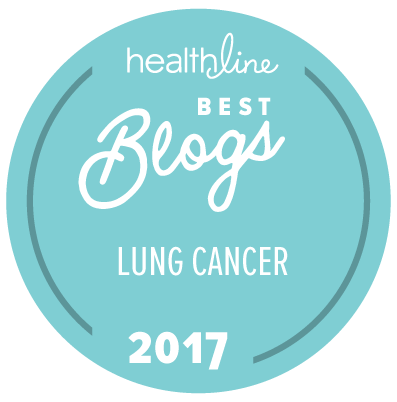 Disclose pre-existing conditions (lung cancer!) and check for pre-existing conditions waivers that might disqualify me for coverage. Because I have lung cancer, AAA travel agency told me I had to buy non-refundable travel insurance at the time I made my initial deposit on a cruise, months in advance of the trip. If I had waited to buy the insurance, any claims related to my lung cancer would not be covered. My healthy son was able to wait to buy his insurance until he made his final payment for the cruise. 3. Check for dollar limits, deductibles, and terms regarding medical evacuation. Be sure the coverage limit is high enough to pay for evacuation from wherever I plan to travel. Ask what air carrier the insurance company would use for evacuation from the travel location—they may not have contractors in all countries. Check the policy to see who decides whether I’m sick enough to qualify for air ambulance, and whether I would be transferred to “the nearest appropriate hospital” or a hospital of my choosing. This entry was posted in Lung Cancer, Travel and tagged Lung cancer, Travel, travel insurance. Bookmark the permalink. I am not in the same category as you are as I was Stage 1A, had surgery in lul in 2010 and no further treatment was deemed necessary. In 2011 I was going to South Africa and then I found out what I was up against re: travel medical. It didn’t matter to the reputable company I was dealing with that I was symptom free. I had to pay roughly $500.00 extra because of the ca history. All of my doctors were really angry that this was the case. I won’t probably travel anymore as the expense is too great and I wouldn’t travel without the insurance. Wow, Diane, I haven’t heard of insurance companies charging extra for those who had a history of cancer! That didn’t happen to me with Allianz. Would you mind telling me the company you were dealing with? I am in Canada and the two companies I deal (t) with are BCAA and RBC (a bank). Cancer figures in both of their questionnaires. I even talked to an executive of BCAA and her argument was that people who had had cancer were the most likely to file a claim. I argued that mightily but got nowhere. Great information. It’s nice to get names of insurance carriers that cover pre-existing conditions. Thank you for this post, Janet. Although I’m not a cancer patient, your information about travel insurance and travel health insurance is something I definitely need to know. I’ll bookmark this post for future reference. Hi, I know this blog post is old and not sure but wanted to give a try. my mom just got diagnosed with cancer when she was visiting me here. are there any companies willing to cover the cost of cancer treatment in US. Sorry to hear your mother was diagnosed with cancer. I regret that I don’t know any programs that will cover all the costs of cancer treatment for those who do not have US insurance. You might try exploring some of the financial resources on Nancy’s List. Best hopes for good outcomes for your mom. Thank you Janet for the help.